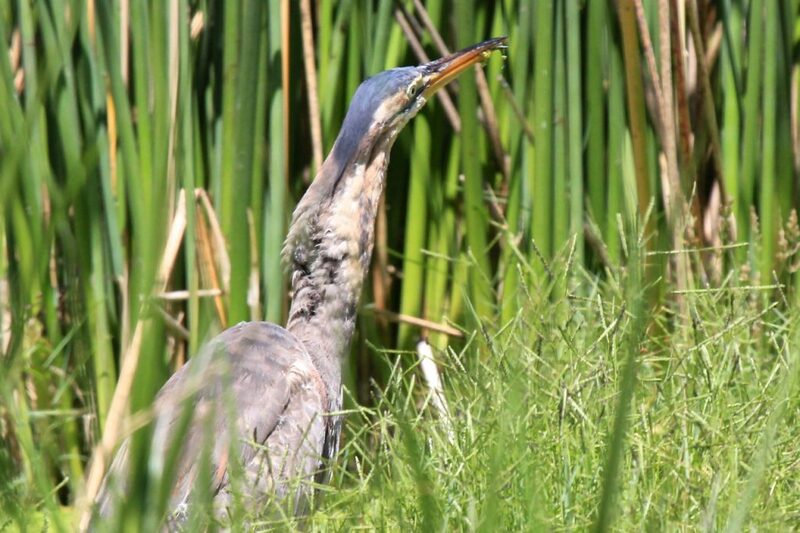 We had been watching a Purple Heron (Afrikaans name, Rooireier) which was fishing at Intaka Island, it fishes there very regularly on the Mozambique Tilapia and we were hoping to get some pics of him with his catch. This Heron can stand perfectly still for an hour at a time before moving and we were distracted by a wagtail sitting on a branch which then flew off toward the back of some reeds. 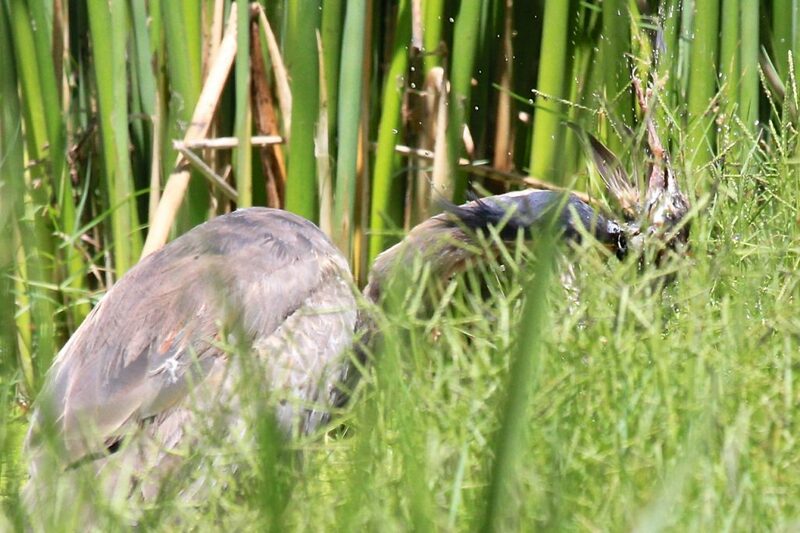 Next thing we saw was the Heron coming out with what we initially thought was a fish. 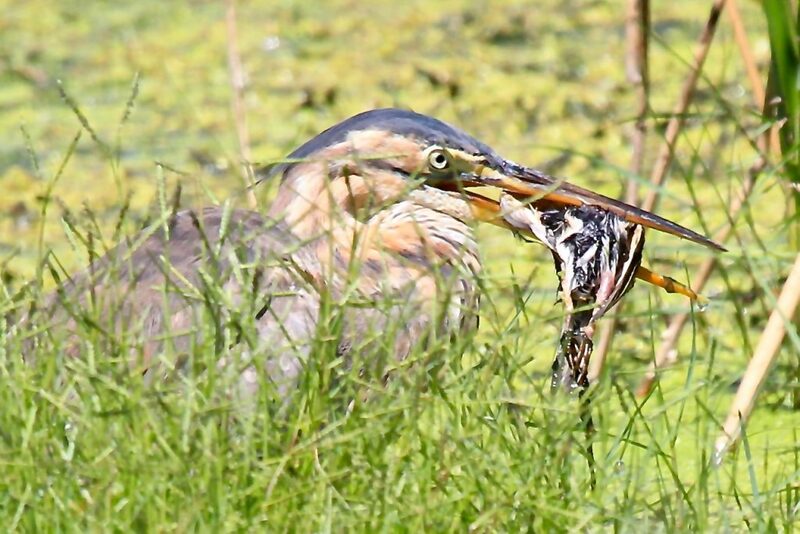 At second sight we could see that the Heron had in fact caught a bird, a juvenile starling. He took quite some time in getting the bird down,dunking the bird repeatedly into the water. Squishing the bird in it’s beak in between the dunking. And finally we could see the lump going down his neck. It was quite brutal to watch yet at the same time fascinating. 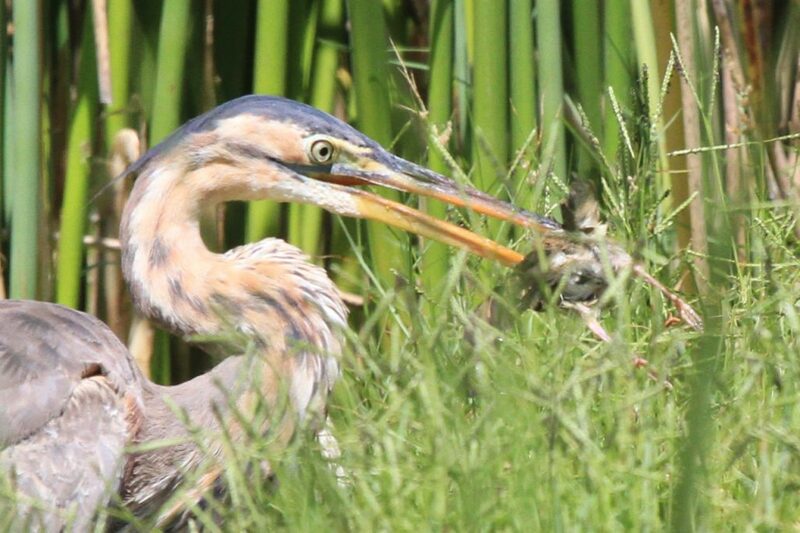 We never thought that Herons caught and ate birds but now we know. To show you his normal diet we have a photo of him with a Mozambique Tilapia.